C25K Week 5 Workout 3 — Randy Zabarsky.. My Life.. Disappointed, my workout today was a five minute walk then run for twenty minutes. I was unable to run for the twenty minutes straight. 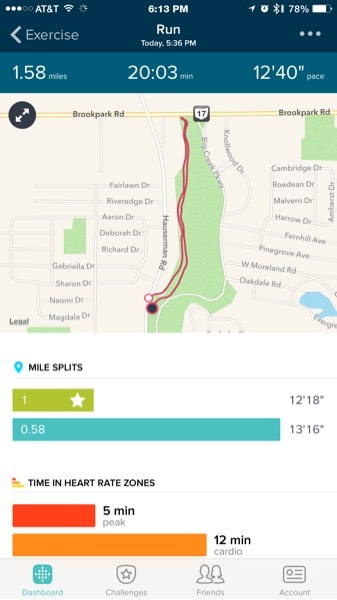 My first mile pace was 12:19 and finished 1.56 miles with a pace of 12:40.